“Tell me and I will forget. Show me and I will remember. And on that note, look at this amazing, full-page newspaper ad . . . Pretty cool, don’t you think? Check it out by clicking insanely . . . here. The idea, from what I can gather, is for this adaptation to travel to other schools, other districts, where students will put on their own versions of the play. Which I think is absolutely brilliant, in terms of using drama to explore these issues in a safe but powerful way. What better way to learn empathy than to stand in the shoes of another character? 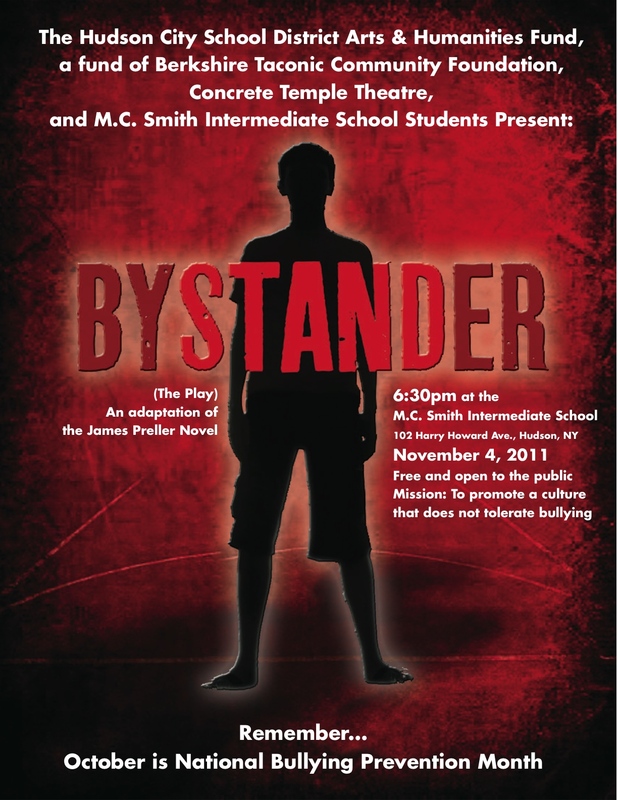 Don’t forget to SAVE THAT DATE: November 4, 2011. Maybe I’ll see you there.